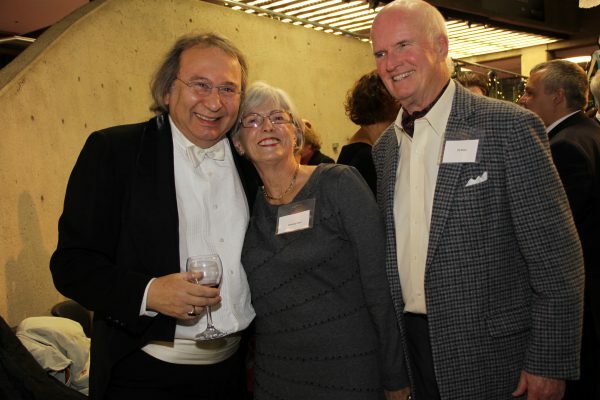 I was dragged to my first symphony performance… by a friend! Obviously, my friend was not literally pulling me by the arm, but I can honestly admit that I was less than enthusiastic at the prospect of going. My knowledge about orchestras was limited and it didn’t seem like something that would interest me. I was wrong. Forty years later, I look back and think how grateful I am to her for the pleasure I receive from attending concerts and the privilege I feel at being able to support the orchestra and its musicians. Many of the musicians have been involved for as long as I have and that speaks to the sense of connection we feel for each other. Only 3% of all Canadian donors donate to the arts. That makes you and I part of a small but important group of people who know that arts organizations like the Symphony enhance lives and the community. Imagine what could be possible if we increase the number of donors in Halifax? You can help by inviting a friend or colleague to consider becoming a Musical Chair. Our donations help families and schools bring children to concerts and outreach programs, planting seeds of enjoyment that may bloom later. Music may not sustain life, but it is certainly food for the soul and is nonetheless something that many people can’t live without. As a Musical Chair, you can be proud of the impact that your generosity has, enabling these talented musicians to share their skills throughout the province. I encourage you to renew your support, increase your giving if you can, and tell your friends about this gem in our midst. Thank you for your continued support of Symphony Nova Scotia. P.S. By sharing the symphony with me, my friend opened my world to decades of pleasure. Thank you for investing in our community and in providing joy for others.